Extremely long wait. The nurses were very nice but their payment system was not functional so patients were forced to paycash. After a bit more than an hour's wait, Charles Rosenberg, showed up without introducing himself. He was very quick and spent about 10 minutes with me. He answered all my questions but seemed extremely impatient. Extremely long wait. The nurses were very nice but their payment system was not functional so patients were forced to pay cash. After a bit more than an hour's wait, CharlesRosenberg, showed up without introducing himself. He was very quick and spent about 10 minutes with me. He answered all my questions but seemed extremely impatient. Dr. Charles Rosenberg attended UCSD School of Medicine. He is a Board Certified Dermatologist and has a PhD from Cornell University in Microbiology. 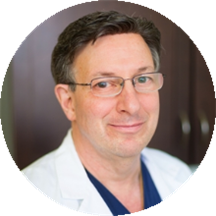 Dr. Rosenberg primarly sees patients in the Huntington Beach office. He is married and has two beautiful children. His special interests include treating acne in both adults and adolescents, eczema, psoriasis and skin cancer screenings. He is also skilled in the use of fillers including, botox, Restylane, Juvederm, lasers and chemical peels. He approaches each patient individually and targets treatment appropriately with the respect that each patient deserves. Dr. Rosenberg was focused on my treatment and very clear in directions and what to expect. Will definitely continue to see him for dermatological issues. I think it was unfair to pay a co-pay when the doctor was unable to provide a proper and full consult for my visit.